Featuring a high quality print on tactile, thin 3D foam material this fabulous gift can brighten up a room in minutes! See the smile on your childs face when they realise how much they have grown! The main 'easy-peel-and-stick' Height Chart Wall Sticker can easily be peeled off and reused leaving no mess! Please note some of the additional stickers use double-sided tape so the surface may need cleaning after the sticker has been removed. 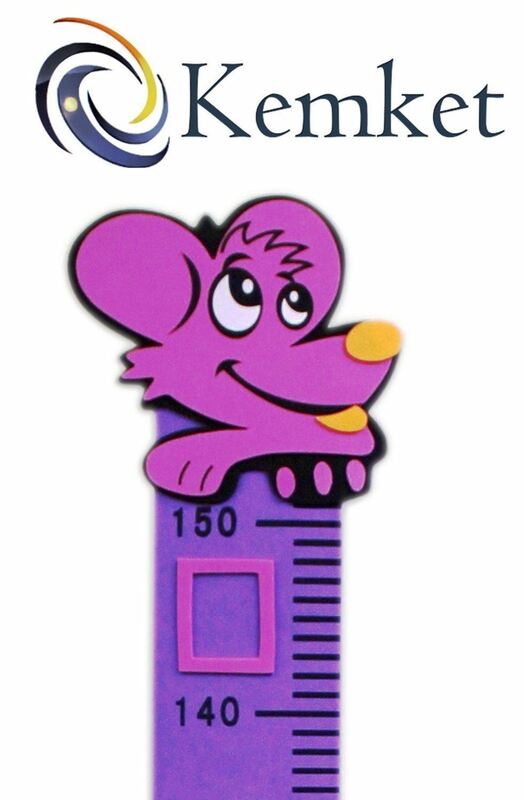 The Height Chart comes in presentation packaging and makes a fantastic educational and fun Birthday Present for kids. Use on clean, dry surfaces. For example, in the home apply the giraffe wall art to walls, furniture, mirrors (large ones! ), the wardrobe, boys or girls bedroom furniture or in the baby nursery. 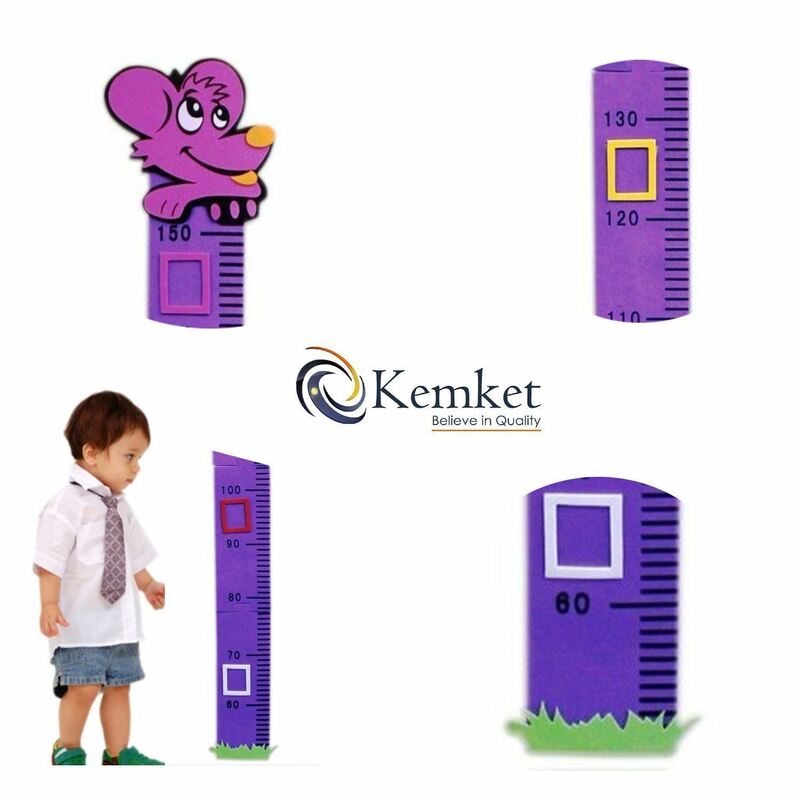 Alternatively, the height chart wall decorations are fun for your boy or girl at school, at the crèche or at kids clubs! The long-necked giraffe is an amusing character and as everyone knows he's the tallest in the jungle! The Height Chart comes in presentation packaging and makes a fantastic educational and fun Birthday Present for kids. Easy Stick and REUSABLE! Have fun using the markers to record your child's growth!